These fishermen have been released by their kidnappers. Five fishermen, who were kidnapped over a week ago and held for ransom, have been returned home to Trinidad. Lynton Manohar, 35, Jason O’Brian, 38, Brandon Arjoon, 28, Jagdesh Jaikaran, 17, and Ricky Rambharose, 49, were returned to a beach on Morne Diablo, Penal, Trinidad on Thursday morning. A sixth kidnapped victim, Jerry O’Brian, 36, was returned on January 30, after a ransom was paid. The five were taken to the Siparia District Health Facility, where they are all being medically examined. Following this, they are expected to give a statement to police. Investigators were told that an estimated US$60,000, a quantity of gold, and even boat engines, were given for the safe release of the five persons. According to reports, they were all in a white pirogue which left the Morne Diablo, Fishing Bay, at 4 pm on January 26. At 7 am on the following day relatives of the fishermen received information that the six men were captured in the Manosa River in Venezuela by Spanish-speaking bandits. 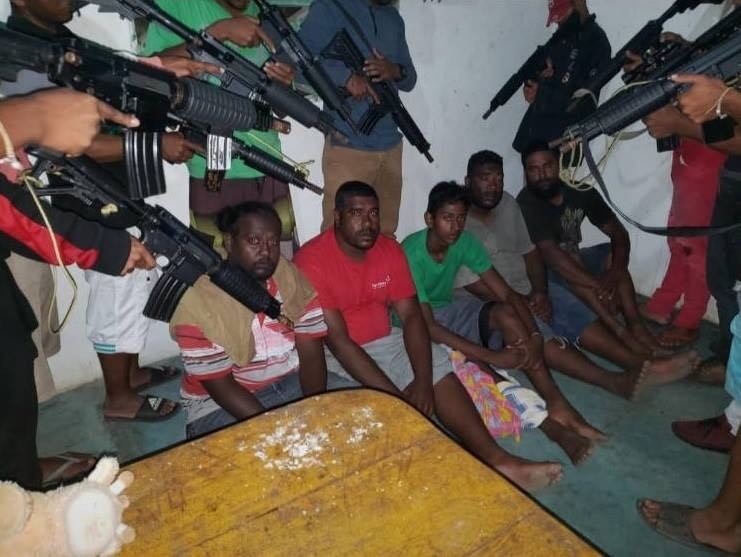 The bandits told relatives that they wanted US$200,000 for the safe return of the six fishermen. Relatives notified the police, and a team of officers led by Sgt Gookool of the Penal Police Station, visited the Fishing Bay. Officers of the Anti Kidnapping Unit were notified, and a separate investigation, under the supervision of Snr Sup Daniel, has since been launched.